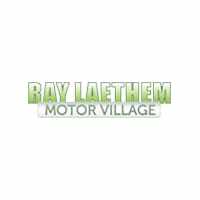 New Dodge Durango SXT for Sale in Detroit, MI | Ray Laethem CDJR " "
Starting at $29,995, the new Durango SXT is available in Detroit, MI right now at Ray Laethem CJDR, and you can contact us today to set up a test drive! Take Home the New Dodge Durango SXT Today! Lots of families in St. Clair Shores know the new Dodge Durango SXT has what it takes to handle rough Detroit winters with ease. And when you buy it from Ray Laethem CJDR you’ll be able to take advantage of affordable financing. Make your way to see us today, and don’t forget to check out our current new vehicle specials to see if the Durango SXT is on the list.